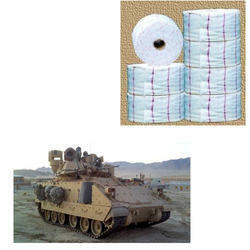 Our product range includes a wide range of flannel fabrics for battel force. The company is well known in the market for the manufacture and the supply of a wide range of Flannelette Rolls. we offer fabric items in different shapes & sizes as well. Our proposed fabric items are offered to our clients at the most competent price structures. Looking for Flannel Fabrics for Battel Force ?